Benn Joe "Zeppa" Zeppanini born in Liberal, Kansas in 1942 and his family moved to Richmond, CA in the early 50's. In late 1955 the 14-year-old boy was managed by Garrie and Clara Thompson who send to participe on the NBC TV shows in Hollywood and Tennessee as well as on the Disney's"Mickey Mouse Club".During his stay in Hollywood he recorded in the Sound studios a cover of the Frankie Lymon & The Teenagers Hit_Why Do Fools Fall In Love. with the white group The Four Jacks as back up group and the Lew Raymond's twenty-piece orchestra. Garrie & Clara sold the song to Carl Doshay of Tops Records who released on March of 1956 a Ep with Zeppa's song (as by Benn Zeppa with The Four Jacks ) and other three songs by Kathy Landon,Sandy Evans and The Four Jacks. 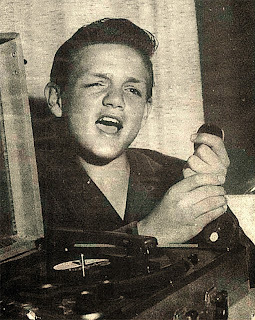 In 1957 the song was re-released on the Encino, CA based label Gilmar Records. The kid voice of Benn liked to Art Rup of Specialty Records who contracted the boy and in April 19, 1956 recorded Richard Berry's_A Foolish Fool. and_Baby I Need(Ting-A-Ling) released on May in Specialty Records as by Benn Zeppa & The Zephyrs. 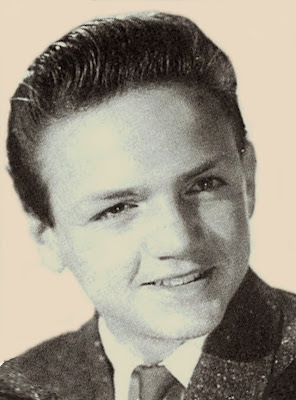 From 1957-1959 Benn Zeppa recorded for Era,Metrol,Hush and Award Records as Benn Joe Zeppa, finally in 1959 joined the marines corps. -Young Heartaches/Ridin' Herd. Hush Records-1958.